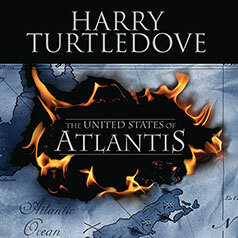 Revolution looms in this second entry in the Atlantis series by New York Times bestselling author Harry Turtledove. England has driven the French from Atlantis, giving King George leave to tighten his control over the colonies. The Redcoats have seized the continent's eastern coastal towns, depriving the Atlanteans of the markets where they sell their goods as part of a strategy to bend the colonists to their will. Instead, England's tactics have only strengthened the Atlanteans' resolve to be free. As leader of the revolutionaries, Victor Radcliff will make the English pay for each and every piece of land they dare to occupy, and will stop at nothing to preserve the liberty of his people as a new nation is born—a nation that will change the face of the world.